We're Going Camping! Excitement and Some Beginners Tips! 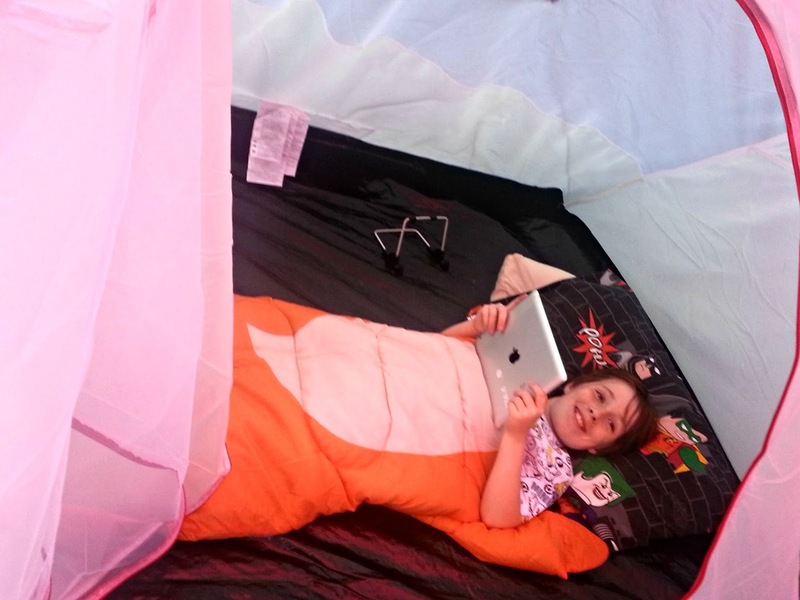 There is much excitement in The Parent Game household today, as we have just had word we are going camping! 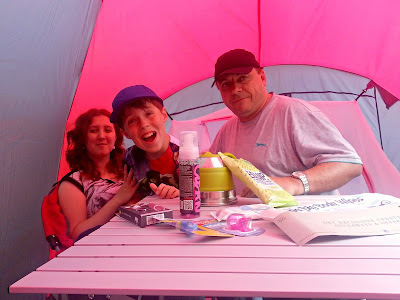 I had never even been in a tent until last year, when we went on an amazing adventure to Roebeck Country Park on the Isle of Wight. It was a glamping holiday, so not 'proper' camping, although I thought it was camping heaven, as we arrived and the beds were made! This year, though, we are going for it, with our own tent and totally self-sufficient, with the help of Scotts Menswear and Blacks. 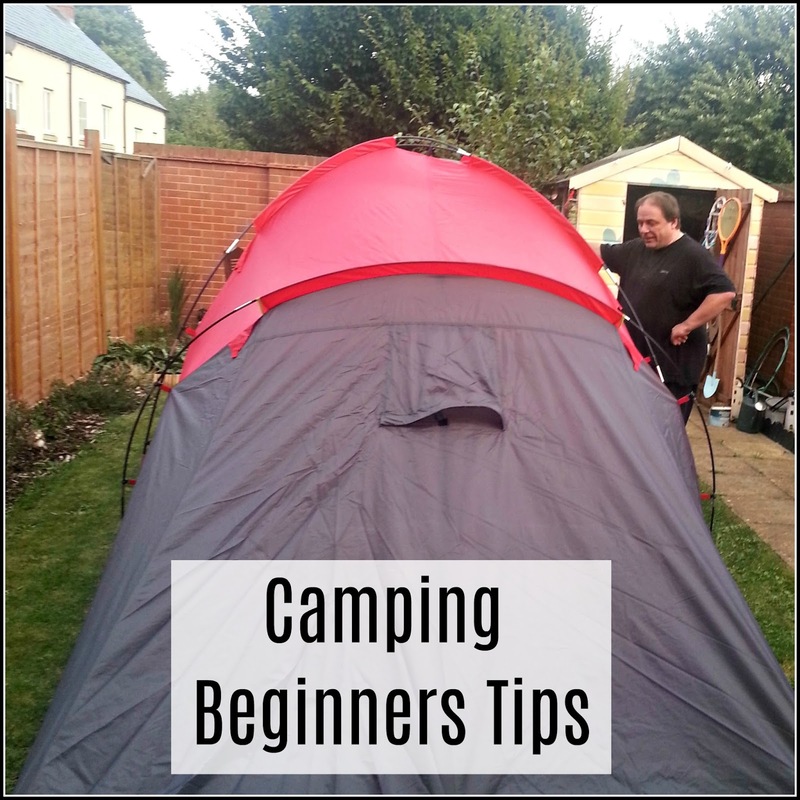 As I've not been camping in a tent before, I have requested some advice and assistance from my favourite bloggers, who have some sage advice on the subject. Take a large drawstring bag (like the ones you can get for P.E or swimming) to carry your toiletries and towel to the shower block. This will save having to rifle your luggage to find everything each time, and leave your hands free too. Also flipflops, for night time loo visits and after the shower! Citronella candles keep the bugs at bay, but are best used outside the tent, particularly when there are children involved, we don't want any unintentional campfires! 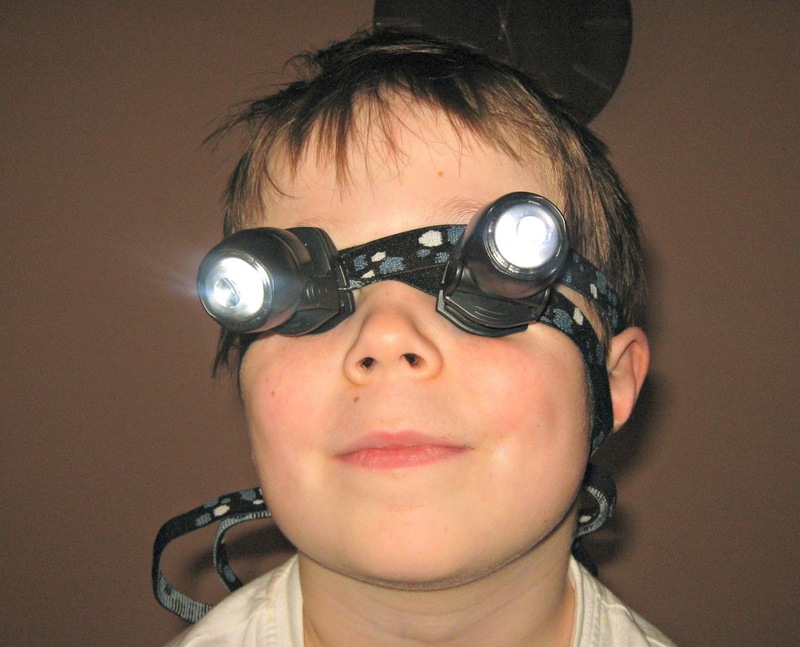 Also invaluable for keeping your hands free, especially if you need to hold children's hands or push a buggy, are head torches. These are available from lots of discount-type stores, so they don't have to cost a lot. Here is L demonstrating how not to wear them! Shona from Training Mummy suggested practicing putting up the tent and taking it down before you go. We did this yesterday, and it is great advice. You can check nothing is missing or broken, and also see how big it is. The first time we pitched it, we didn't leave enough room for the porch awning at the front, which was really useful to find out! Also, with taking it down, you don't want to spend valuable holiday time getting this bit wrong, and having to start again, so get it right before you go, then you will be an efficient packer when you've got better things to do! L decided to try it out, just to check that he fitted okay! Jo from Organised Jo (you'll see why she's called that in a sec!) had this advice; Take a bag full of toys & games for the kids (sticker & colouring books are good, along with happy families & UNO card games), take a bag with all the electrical device stuff you need (iPads/kindles/chargers), take a flexi tub to out all the shoes in so they are not left in the floor in the tent, don't forget a tin/bottle/wine opener!! And Mellissa, from The Diary of a Jewellery Lover says, very wisely, don't forget your puncture repair kit if you are sleeping on air beds! For more great help and advice for novice campers, check out Naomi's camping blog Tent Sniffing for Beginners and this Camping for Beginners guide from Campsites.co.uk. I am sure u will all have a fab time.